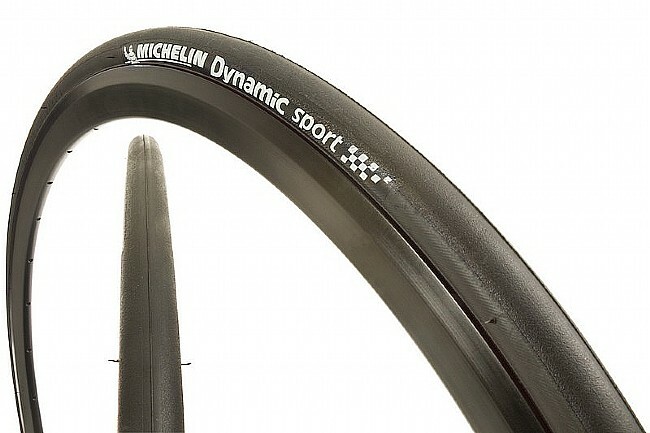 Rack up the miles on these long-lasting, versatile road tires from Michelin. The Dynamic Sport is a durable tire designed for high mileage and a long lifespan with performance that doesn't quit. Featuring a durable rubber compound and a semi-slick tread pattern, the Dynamic Sport stays lightweight thanks to its folding bead. With its smooth center patch, the Dynamic Sport features textured shoulders for enhanced road-worth grip.